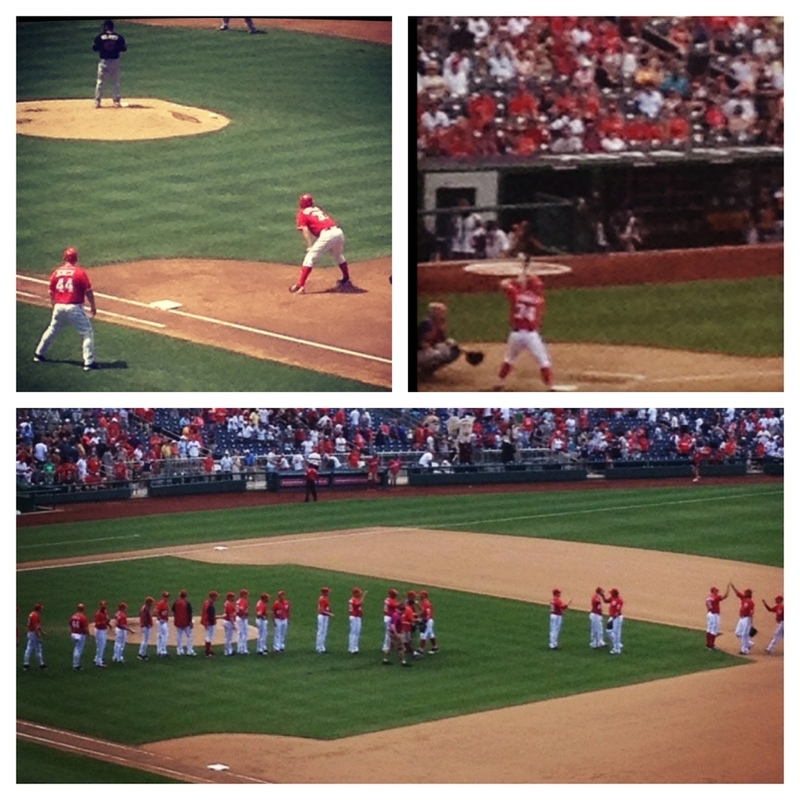 A few snapshots of the Nationals win today, 4-1 over the Marlins. I’ll spare you the picture of the sunburn I got on my knees (and only my knees) at the game, but believe me when I say they look like uncooked meat. Stephen Strasburg at first base, waiting to run after his two RBIs; Bryce Harper at bat in the bottom of the 8th; team handshakes and high-fives after the win.